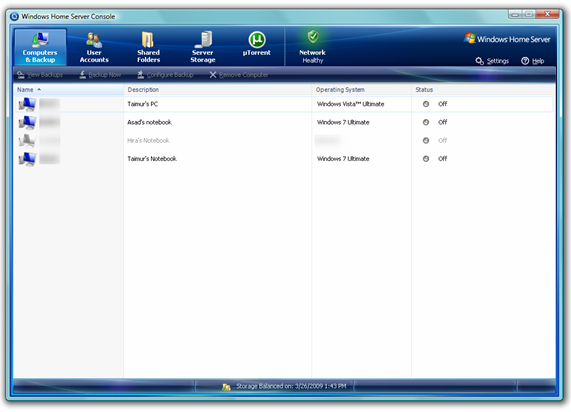 Windows Home Server Console in PP2 displaying machines running Windows 7. Windows Home Server PP2 is now available for download via Windows Update. Make sure that you have set your server to receive updates automatically in order to get Power Pack 2 update for Windows Home Server. Is that like SBS2003 R2 “recognises” Vista but can’t do squat about it?